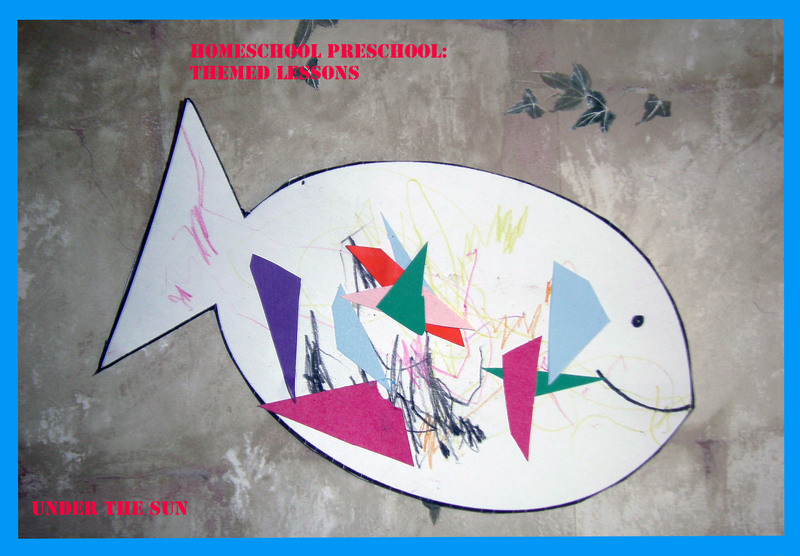 In our preschool homeschool we have been doing themed lessons as of recently. I thought I would share one of our themes from a couple of weeks back. At the preschool level I like to cover character, colors, shapes, introduction of letters, listening skills/ reading skills, counting, and as Chloe advances further along letter and number recognition. As I read blogs from homeschooling veterans, and books from experts they all seem to agree on one thing. At this age learning through play is natural. With this in mind while we have lessons, I have decided to keep them short and enjoyable. 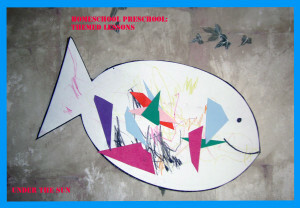 The lessons themselves are centered around things my children already enjoy doing even without specific lessons in mind. I would encourage you even if you plan on sending your preschooler to public or private school to keep the idea of active playing or playing with purpose in mind with your preschooler. While free play is wonderful playing with purpose helps children to understand from a young age learning can happen in almost every environment. I kicked off the lesson with a viewing of Finding Nemo. I used the movie to talk about love, family, and listening skills. Plus it is just a cute movie. Then we read a poem about fish. Now I really would have loved to have read The Rainbow Fish, but since we don’t have that book. I searched for children’s poems about fish. Reading is a great way to help young children build their vocabulary, so as you read to them not only read their favorites introduce new stories, poems, and concepts. The final portion to the lesson was a fish craft. Cut a fish shape out of your white paper. Cut scales out of construction paper. Demonstrate how to use the glue stick to put a scale on the fish. Let the kids have fun decorating their fish with the scales and coloring utensils. This entry was posted in Children, Homeschool and tagged Children, homeschool, school on October 29, 2013 by Sara R.
E is really good at matching things. She likes this fish matching game that I found online, which would go perfect with this lesson! And she loves movies… a little too much! I have done some glue-on-paper-scraps projects with her and she seemed mildly interested, but got board with it quicker than I did, so for her coloring the fishy might be her favorite part.